Learn how AI tools, such as TensorFlow and Keras, can help insurers to automate damage assessment and avoid overcharging by a car parts supplier. 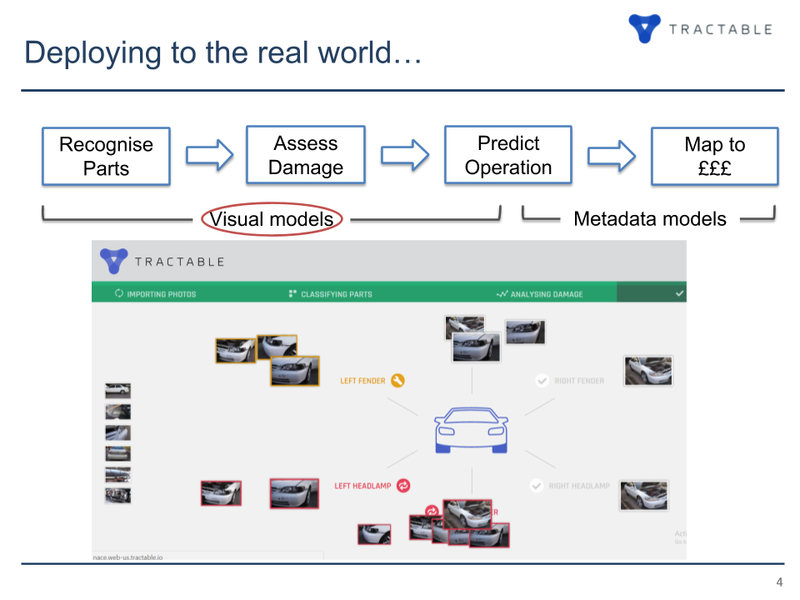 At TensorFlow meetup in London, Marcel Horstmann and Laurent Decamp of Tractable shared their experience in building a working solution for automotive insurance that will allow for improving the process of damage estimation. When a vehicle gets damaged in an accident, an insurer has to cover the repair cost. However, the estimation for it is done by a body shop, which may overcharge sometimes. Furthermore, the estimation process is manual and requires human experts and their time to evaluate the damage. Employing machine learning, it’s possible to train a model that will recognize the damaged car parts, assess damage, make predictions about what kind of repair is needed, and estimate how much it may cost. To deliver accurate estimation, the model should be capable of predicting what type of maintenance exactly is to follow. As it influences the final cost, it is necessary for the model to distinguish, for instance, whether the damaged car part can be still fixed on has to be replaced. Visual models, as Marcel calls them, are responsible for image recognition and damage assessment. Repair estimate belongs to the domain of metadata models, while prediction uses both the models. To build a model capable of estimating repair cost, there is a need for data to train this model on. Partnering with auto insurers, Marcel and Laurent got access to an immerse collection of 130+ million images of damaged cars. Furthermore, these images have annotations—highlighting which vehicle part was particularly damaged. Within a single insurance claim, Marcel and Laurent usually exploit between 15–50 images to train the model. Some of them depict the overall vehicle condition, some illustrate the damage occurred, and some are just irrelevant for the assessment case. 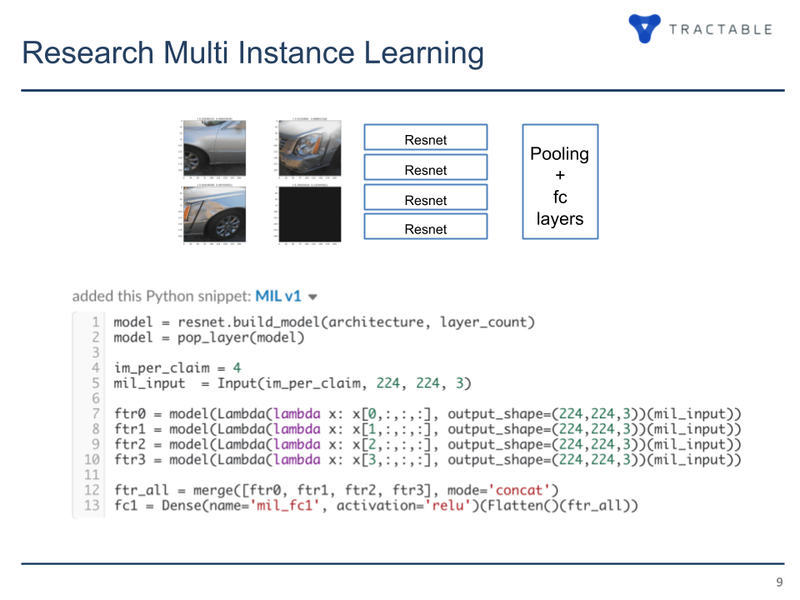 Marcel referred to multi-instance learning that they were trying to enable. By this, he meant that the model is to check a variety of images—taken from different angles—of the same damaged vehicle before making a final prediction. For the purpose, the team also employed the ResNet convolutional neural network and tested a bunch of approaches to pooling. Additional constraints were imposed through training 12 data sets—containing images of 12 car parts—as different models. In addition, the recognition stage and assessment stage required separate treating, so it resulted in 24 models to train. The team decided to deploy each model on a dedicated GPU. This allowed for using large batch size and achieving high throughput (170 images/second per model). However, the cost it took mounted $16,000 per months for 24 models, which Laurent naturally coined as expensive and resource-wasteful. Looking for better options, the team considered using CPU for inference or collocating multiple models on the same GPU. The first option proved invalid due to scalability issues. Running parallel processes on the same GPU improved the situation a bit, still one needs to reserve additional memory for TensorFlow and Keras apart from the model itself and a batch. Betting on the latter strategy, engineers were able to put either five models with a batch size of 32 or six models with a batch size of 16 on the same GPU. It resulted in a satisfying throughput, though they had to compromise performance to a certain extent. There is a potential to boost the performance by optimizing the process of image decompression. According to Laurent, it may happen if they take a single Python process, warm up models weights, and then sequentially run the models. This way, he estimates it will be possible to scale up to 80–85 models on a GPU. 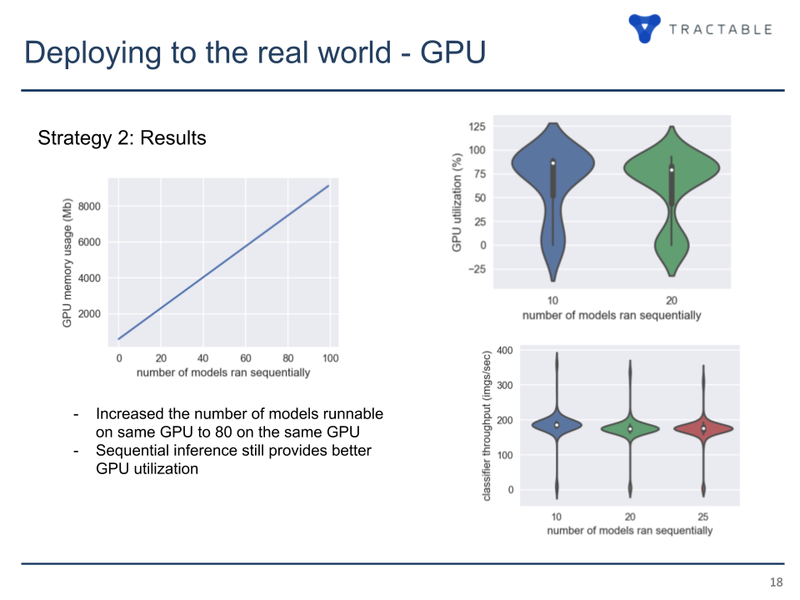 In the long run, the team utilized four GPUs to train 24 models. The total cost for the computing resources amounted for $3,300 with around $12,700 saved monthly—in comparison to the initial setup. 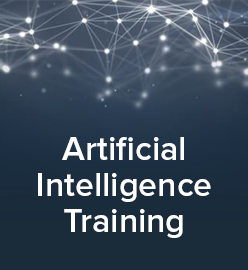 As a result of this research, Tractable has developed two products AI Review and AI FNOL Triage. 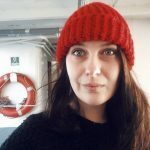 You can also read this article, featuring a demo of the company’s solutions. Marcel Horstmann is Deep Learning Researcher at Tractable with a background in quantum optics. With an MS degree in Physics, he is experienced in applying deep learning to both solar power prediction and energy efficiency. Laurent Decamp is Deep Learning Engineer at Tractable. Recently, he was engaged in a research project on real-time image-based localization in large-scale outdoor environments. Laurent has got MS in Artificial Intelligence from the University of Edinburgh.